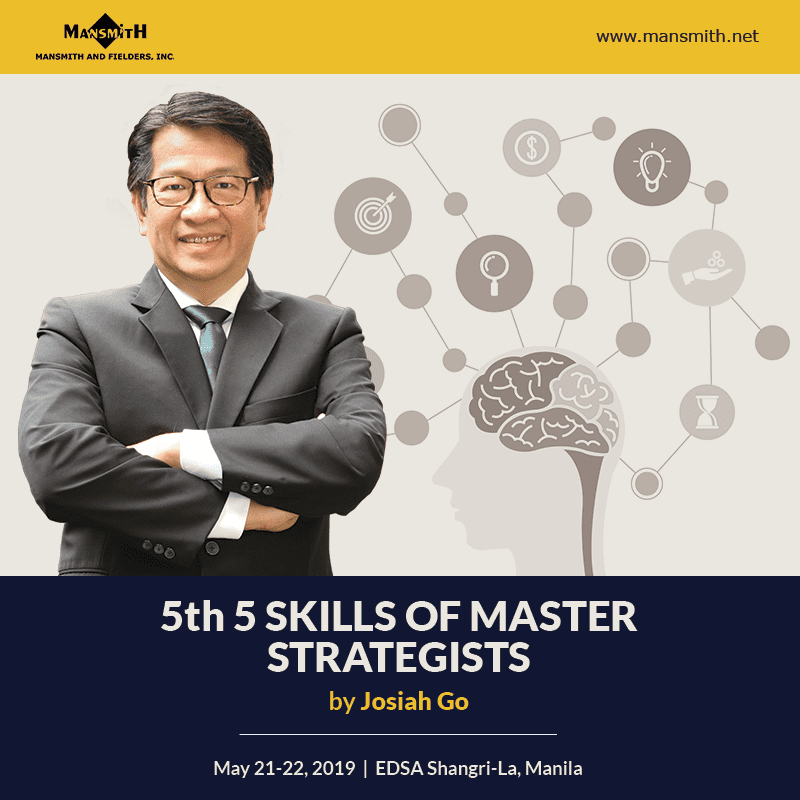 The first time I met Edgar Sia II, better known as Injap, was in 2009 when his entry to the Mansmith Young Market Masters Awards (YMMA) won and made him part of the batch. He was just 32 years old then. I learned that during that time he was preparing Mang Inasal for its initial public offering (IPO) in the stock market, so it was understandable that he wanted Mang Inasal to be more high profile as he also won an Agora Award with his Mansmith YMMA, getting repeated validation and admiration from third parties about his unique concept of recombining classic elements like BBQ chicken and fast food into what has become a new fast food category. Previous BBQ chicken concepts were all based on a traditional casual dining restaurant format. The year after, intending to take Mang Inasal public, he also got multiple letters of intent from various parties wanting to buy a part or the entirety of the company. Jollibee was one of the companies that approached him as Mang Inasal would be a good addition to their restaurant portfolio. 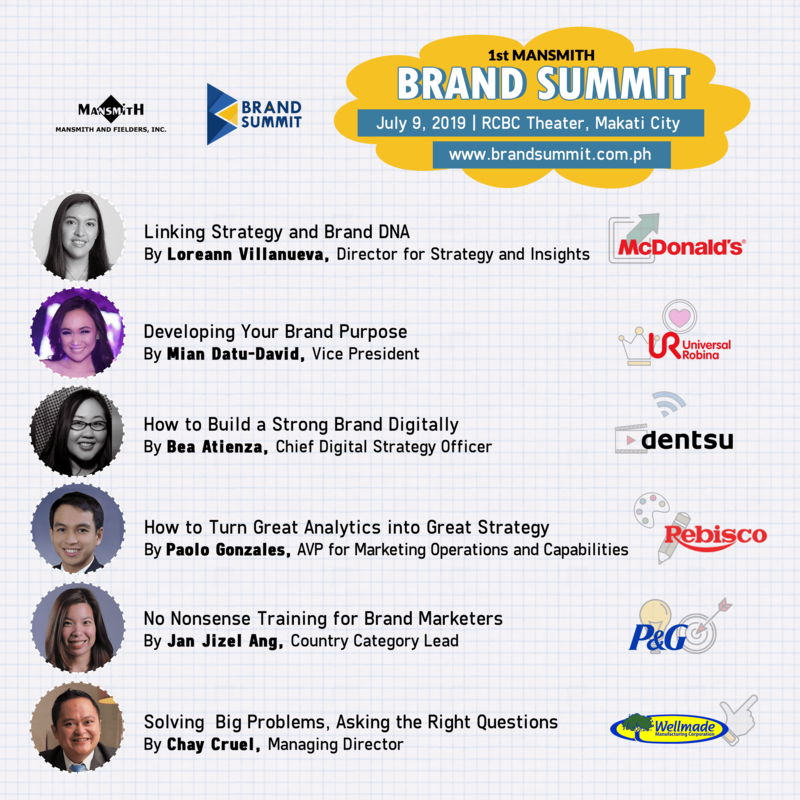 Mang Inasal is the only BBQ chicken restaurant among the top 5 fast food chains and has become a thought leader in the industry, especially after it launched the ‘unli-rice’ offer, a lesson Injap picked up from the telecom industry’s unlimited call and text offers. While implementing the offer, Injap had the presence of mind to increase price by Php 2 more to make up for the potential losses from giving away extra rice, which also made a compelling proposition to both consumers and franchisees. Mang Inasal started about 20% cheaper versus Jollibee in 2003, experiencing a double jeopardy of lower price and higher product cost for a start-up; but as market shares and brand health scores improved, Injap would narrow the price gap, increase their prices as often as four times a year, then reinvest extra funds into marketing, rushing to create economies of scale via franchising and competitive advantage for Mang Inasal. Mang Inasal was eventually bought in 2016 at a total valuation of Php 5 billion, including an initial Php 3 billion for 70% of the company in 2010. As per stock market record, Mang Inasal was bought by Jollibee nearly at 20 times of price-earning (PE) ratio (typical IPO would be at about 15 times) or over 8 times EBITDA (earnings before interest, tax, depreciation and amortization). Jollibee valuation then stood at about 39 times PE. The ‘marriage’ was successful. Sales revenues of Mang Inasal went up 250% within 5 years after the Jollibee-Mang Inasal synergy with only 30% incremental store count. Except for casual hellos in Go Negosyo events, the opportunity for lengthier talks came in the 1st BPI Sinag Award for social enterprise in October 2015, where Injap and I sat beside each other as judges. 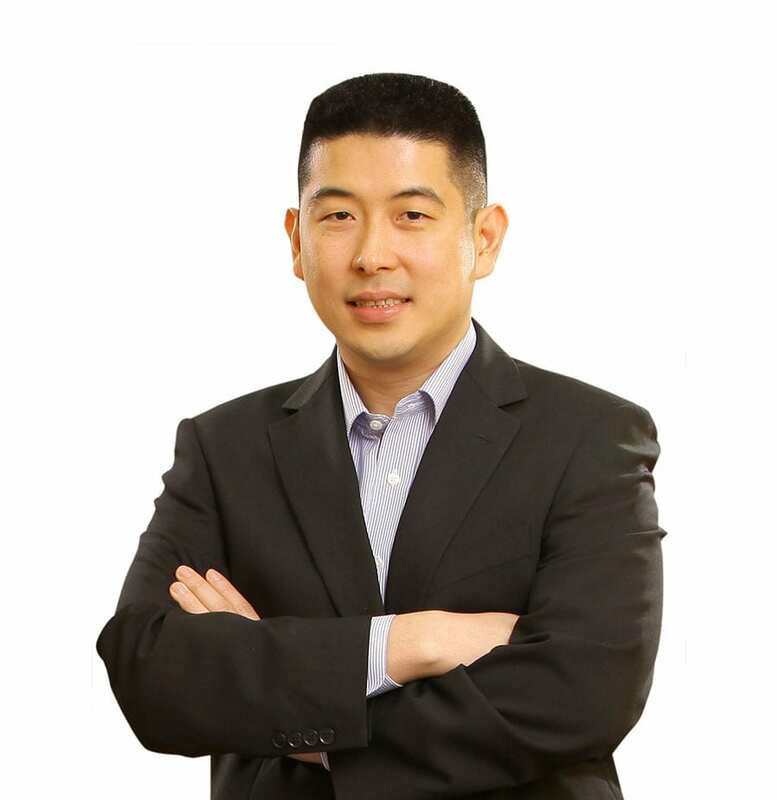 Injap later agreed to do a Q&A for both my blog and the Philippine Daily Inquirer where he briefly mentioned spotting a new market space via his Double Dragon Properties, co-chaired by Jollibee Founder Tony Tancaktiong. The insight on this new venture came from his weekly travels to the provinces during his Mang Inasal days, he would always visit and see the biggest school, the biggest hospital, the biggest port, the biggest of everything and discovered that there was no shopping mall in most third class cities of the Philippines; armed with this insight, his sensemaking skill helped him interpret what’s going on, his discovery skill helped him connect the dots and see things differently, his innovation skill helped him recombine existing industry variables, his thorough preparation gave him courage to execute his plan swiftly, and his inspiring and soft spoken ways influenced others to help attain his goals. 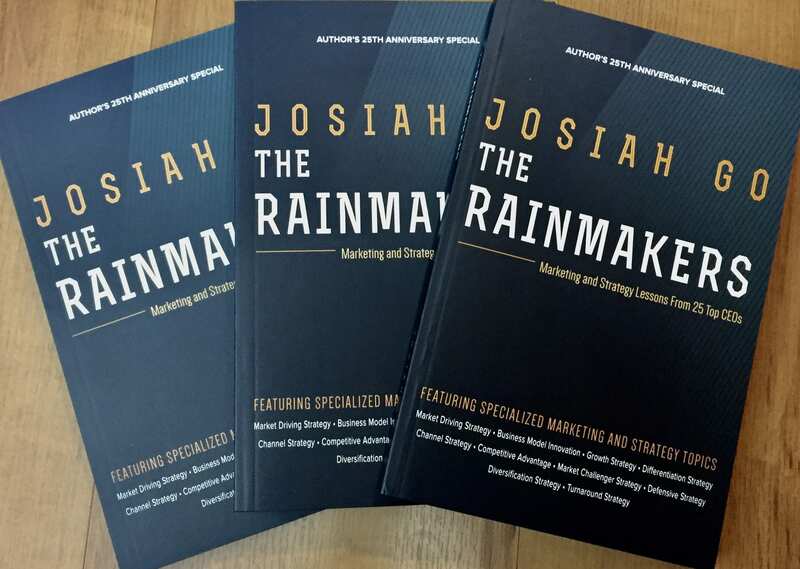 I have included my interview with him in ‘The Rainmakers’ book and he is one of the people who have inspired me to author a new seminar ‘5 Skills of Master Strategists’. 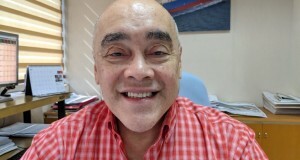 In 2016, instead of doing another Q&A, he sent me his 2012 graduation speech at the University of San Agustin – Iloilo where he was conferred his honorary doctoral degree – finally making him a graduate after he dropped out of fourth year architectural studies when he was 19 years old to pursue multiple businesses such as a photo developing store, hotel, and laundry store, one after another, eventually attracting Robinson’s Iloilo to invite him to put up a restaurant which is now Mang Inasal, forming Injap into the young, successful entrepreneur he is today. The educator in me is always curious and Injap readily agreed to make himself available for a series of interviews I was doing on entrepreneurship. Always humble and respectful, Injap acknowledges that he is simply being used by God to inspire others; he had in fact gifted substantial shares of his company to his siblings even before the Jollibee acquisition. Very grounded and analytical, casual and respectful, he speaks his mind with sharp recollection of his entrepreneurial exploits. 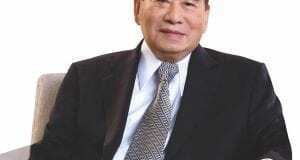 An inspiring story of Filipino ingenuity in entrepreneurship. 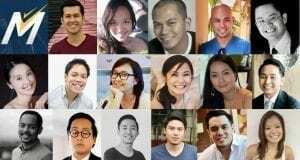 Please publish more Filipinos with similar business success .Makes me proud.